Continuing our examination of DUI as reflected in popular culture and media, let’s shift our focus from music and television to the film industry. While the depiction of DUI on TV drastically changed in the 1980s, and while DUI in popular music has been both consistent and prolific, the film industry perhaps falls somewhere in the middle of these extremes. While the movies certainly don’t shy away from this topic, neither does the industry as a whole appear to carry any particular agenda—which makes an examination of this medium a bit more complex. Perhaps the best approach is to look at a few specific examples of DUI in films—both classic and modern—to see what we can learn. Celebrity DUIs and Other Misdeeds: Why Are We Obsessed with Them? Jus tin Bieber. Lindsey Lohan. Paris Hilton. Kevin Hart. Chris Pine. Reese Witherspoon. Bella Hadid. This list represents a mere handful of known names who have been charged with DUI in Los Angeles (and elsewhere) over the past 10 years, with many others right alongside. It seems so commonplace that, as HuffPost reports, during an appearance on, Jason Priestly joked with Chelsea Handler on her show Chelsea Lately about his own DUI. “What self-respecting Los Angeleno doesn’t have a DUI under their belt?” he said. The joke was accompanied by high-fives with Handler, who, not surprisingly, also has a DUI on her record. 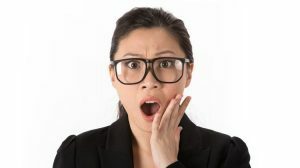 Aside from the controversy of famous people downplaying the seriousness of impaired driving, salacious reports of celebrity wrongdoing have been the guilty pleasure of millions of people for as long as anyone can remember. These impulses of ours are what keep websites like TMZ and The National Enquirer in business. With just two months to go until 2018 arrives, it’s a good time to take a look at some of the highlights—or lowlights—of DUI arrests that have been reported around the country this year. 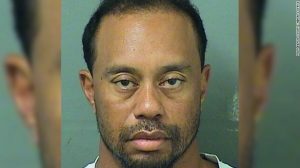 Tiger Woods, once the most celebrated golfer in the world, hasn’t been at the top of his game for some time. But his May arrest for DUI may have marked an unfortunate new low in the athlete’s life. Most DUI arrests don’t get a lot of attention from the general public or news media unless they involve a celebrity and/or result in a horrendous accident. Over the last two decades, however, there have been several arrests for DUI that have attracted widespread media notice and/or gone viral because they are simply so outrageous or bizarre. 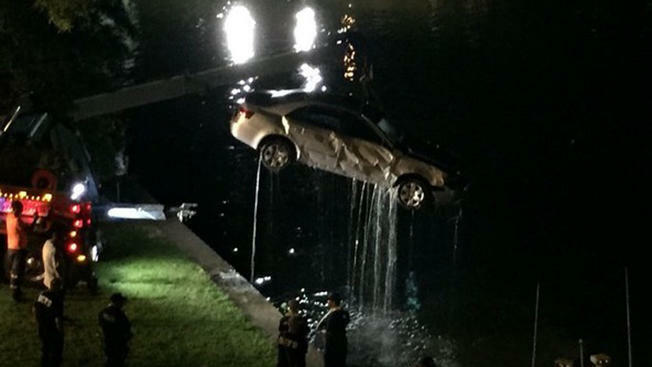 • In Montgomery County, Maryland, a 26-year old man drove his car through a gate, onto a ferry and into the Potomac River around 1:30 a.m. on the night of October 7th. Although White’s Ferry wasn’t open at the time, a ferry captain who lived nearby heard the man’s screams and was able to rescue him. Police charged the driver with DUI. • A 43-year-old woman from Clearwater, Florida, drove for three miles on the wrong side of U.S. 19 near Tarpon Springs. During her northbound trip in the southbound lanes, Anna Marie Sosa avoided a head-on collision with another vehicle only because the other driver was able to take evasive action. (The other car did suffer minor damage to the bumper.) A police officer finally stopped the woman and charged her with DUI and leaving the scene of an accident. Intoxicated drivers often make bad decisions that draw police officers’ attention and leave the drivers vulnerable to arrest on a charge of DUI in Los Angeles. But California drivers aren’t the only ones making mistakes, as these arrest stories from around the country clearly demonstrate. In Madison, Wisconsin, a 42-year-old woman decided that she was in the mood for a beer. Only problem was she opened the can while sitting in a car and right in front of the officer who had pulled her over on suspicion of DUI. When the woman refused to get out of the car and continued drinking, the officer had to call reinforcements to pry the unidentified driver out of her car. She faces charges of reckless driving and driving while intoxicated. 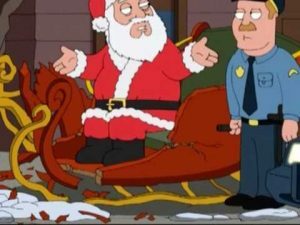 In Connecticut, two people were driving their vehicles with flat tires and probably hoping that police didn’t notice. Police in South Windsor arrested 33-year-old Eric Schneider after they received reports that a vehicle in the area was riding on a bare rim. Schneider had apparently been traveling with a flat for so long that he wore the tire away. He’s facing DUI charges. When police come upon an accident involving a DUI in Los Angeles, they may sometimes find that all the vehicle’s occupants have exited the car. That scenario can make it more difficult for the officers to figure out who was actually driving at the time of the crash. Thinking to confuse police (or maybe because they are confused themselves), the car’s occupants claim that someone else was behind the wheel. But when Bernard Michael Drivdahl of Benson, Minnesota, stated that another driver was responsible for the destruction his car left behind, the police were pretty sure they could discount his story. For one thing, the 59-year-old Drivdahl was apparently alone when they picked him up. 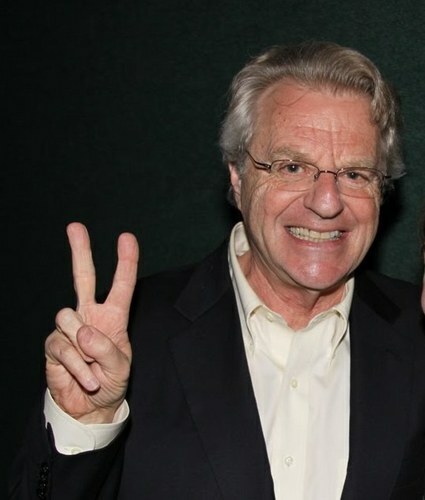 In addition, Drivdahl said that the person driving the vehicle was Jerry Springer. TwinCities.com reports that on May 29th, an officer who suspected Drivdahl of driving under the influence began chasing his vehicle through the town. Speeds reached 70 miles per hour during the pursuit. Drivdahl eventually drove through several front lawns, crashed into a parked pickup and then hit not one but two homes. The damage could have been worse, however; the car broke a gas line in one home. Most people charged with DUI in Los Angeles never intended to break the laws against driving while intoxicated. But one drink too many can cloud their judgment, and they get behind the wheel not understanding that they really shouldn’t be driving. Dr. Stephen Miller of Plymouth Township, Pennsylvania, may not have realized his condition when he got behind the wheel of the family vehicle one evening in June. But he should have been more attuned to the dangers of DUI than most people. Miller lost his five-year-old son Kevin in 2012 when a DUI driver stuck the child as the family was crossing a road. Instead of stopping to assist, the driver fled the scene. After Miller learned that the driver could spend only a year in jail for his crime, he and his wife spent the next two years advocating for stronger penalties for those who flee the scene of fatal accidents. 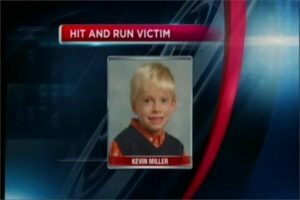 In 2014, the state legislature passed “Kevin’s Law,” raising the minimum penalty for that crime to three years. The Millers and their extended family were present to witness Pennsylvania Governor Tom Corbett signing the bill in June 2014.